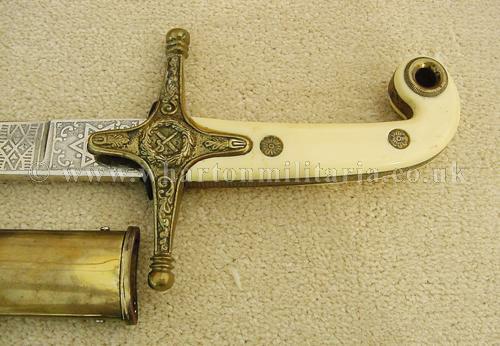 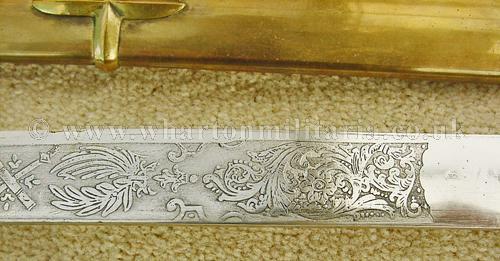 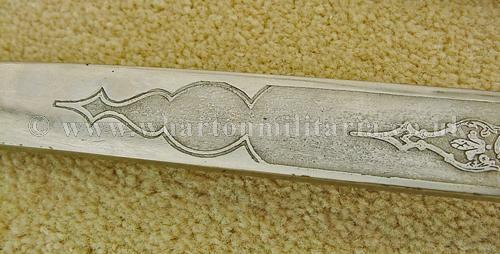 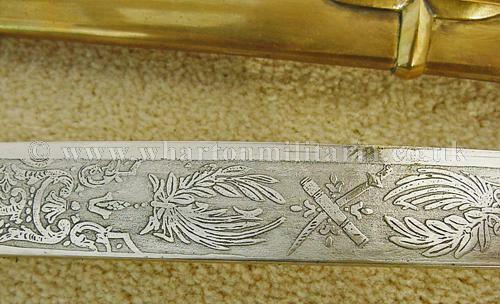 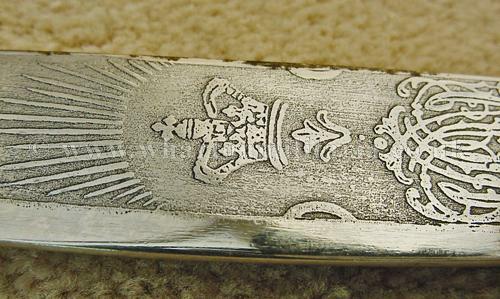 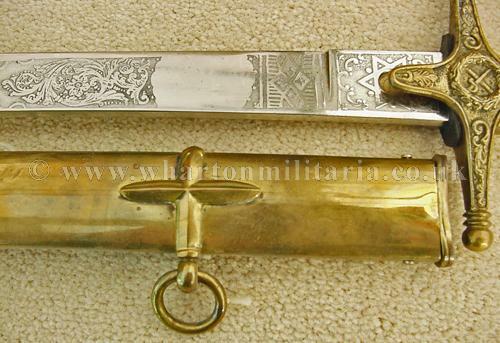 A British 1831 pattern General and Staff Officer's Mameluke sword with correct brass scabbard in excellent condition. 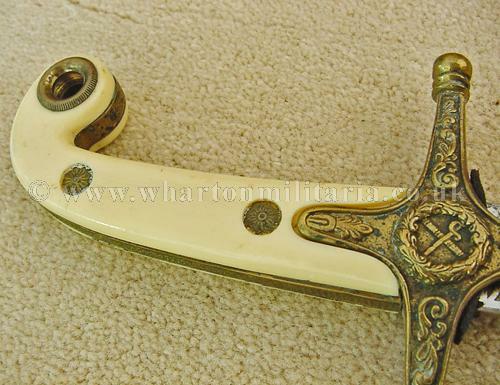 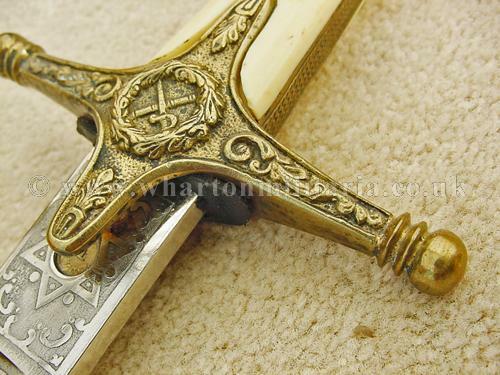 Sword has ivory slab grip with gilt brass rosette insets, cross guard has the crossed sword and baton inset in the hilt cartouche. 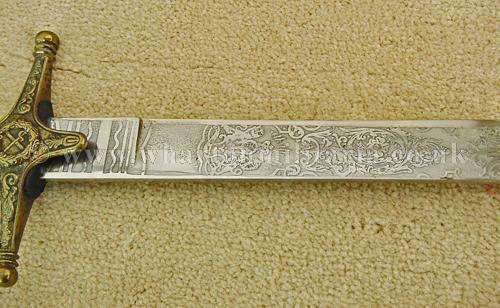 The blade is 32 ½ inches long, finely etched with victory laurels, crossed sword and baton, royal "VR" cypher and crown. 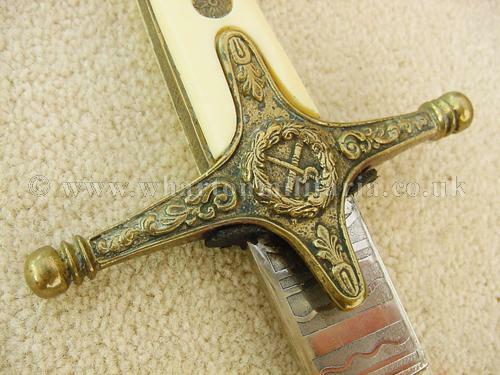 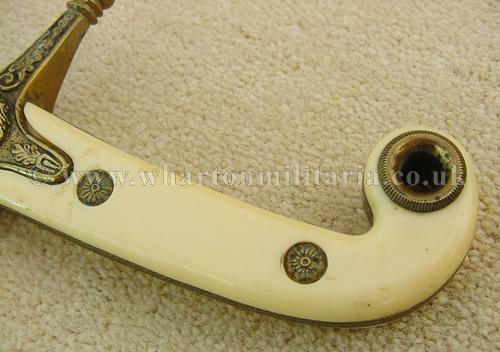 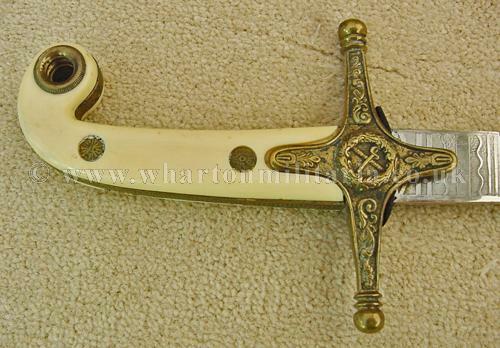 Blade is in excellent condition throughout, complete with original and correct brass scabbard, plated steel was introduced in 1898. 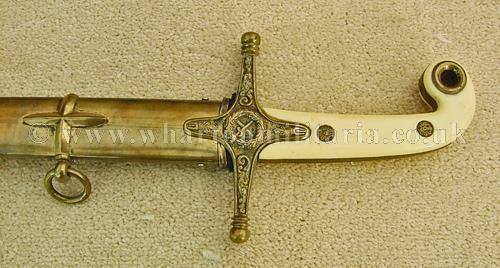 Sword length is 39 inches overall. 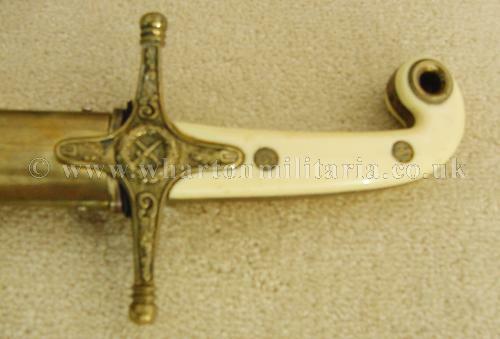 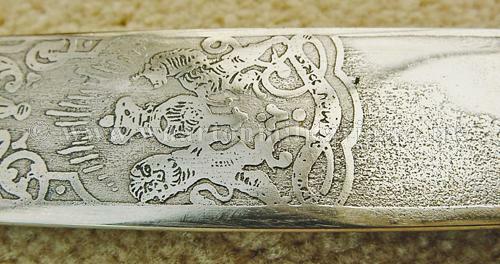 A very good example of a Mameluke sword with the scarce brass scabbard.